The sand often times conjures memories of walks on the beach with the fresh sea air swirling in and out with the tide. With the availability of optional tan colored top, in place of the standard black or optional blue colors, Saab 9-3 customers are now able to reminisce year-round in this robust four-season convertible. A Sand convertible top was only offered in 1993 and 1994 on the first generation convertible. After a 13-year hiatus, and many customer and dealer inquiries, the Swedish-born brand conceived by aircraft engineers brings the option back. 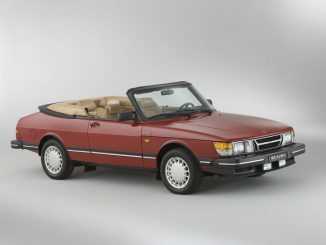 Since launching its first convertible, Saab has played a major role in advancing the popularity of open-top cars as a practical, all-year-round means of transport. The 9-3 Convertible’s premium quality, sprightly performance, sporty styling and generous equipment levels attract those who long for cruising around in the open air. 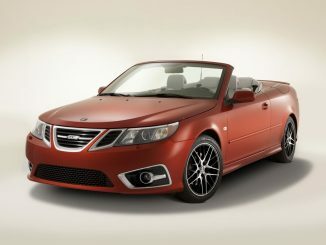 The Saab 9-3 Convertible is offered in the 2.0T and Aero trim levels priced at $38,240 and $43,845 respectively. 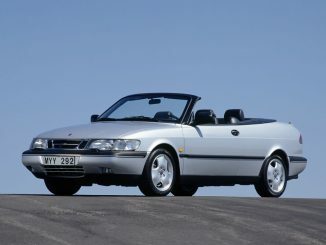 As with all Saab models, the 9-3 Convertible comes standard with 3-year/36,000 mile no-charge scheduled maintenance, the GM 5-year/100,000-mile Powertrain Limited Warranty as well as a 4-year/50,000 mile Limited New-Car Warranty.